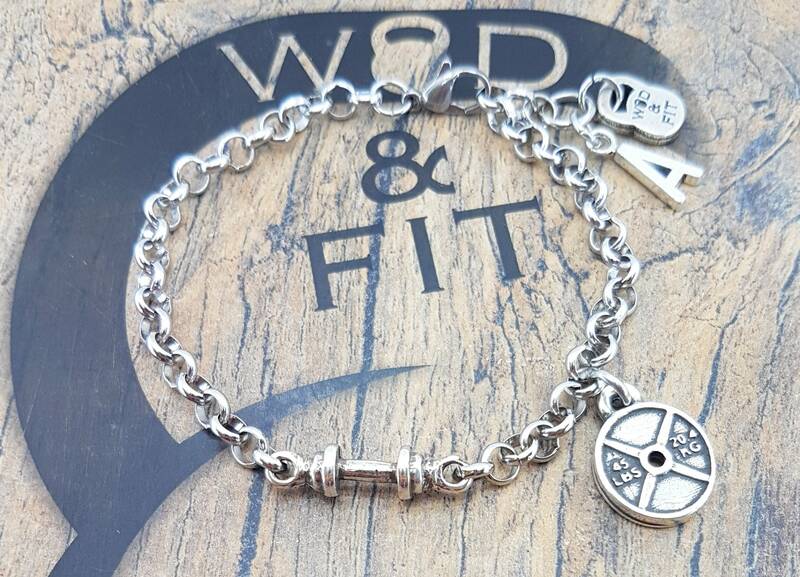 Bracelet Barbell Workout in stainless steel. 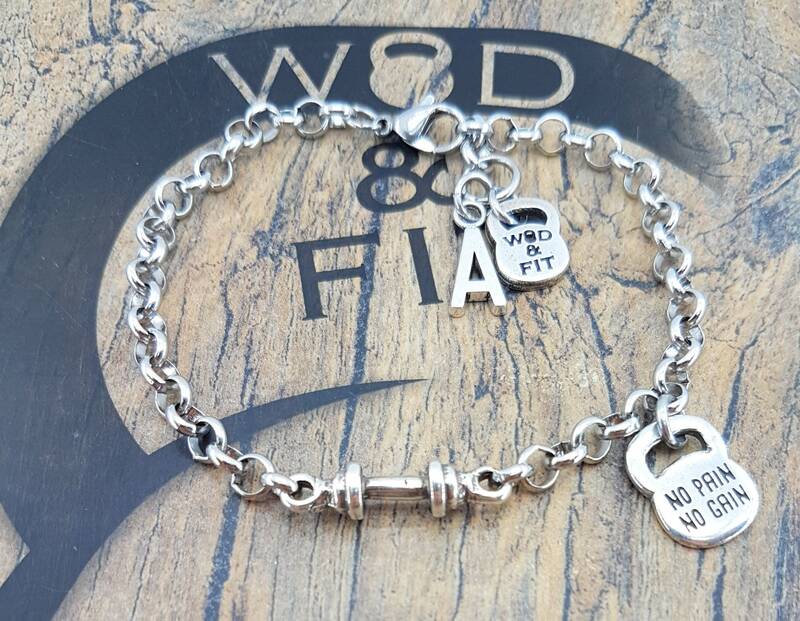 The bracelet is stainless steel of 8''(22cm) length, you can adjust to the desired size. 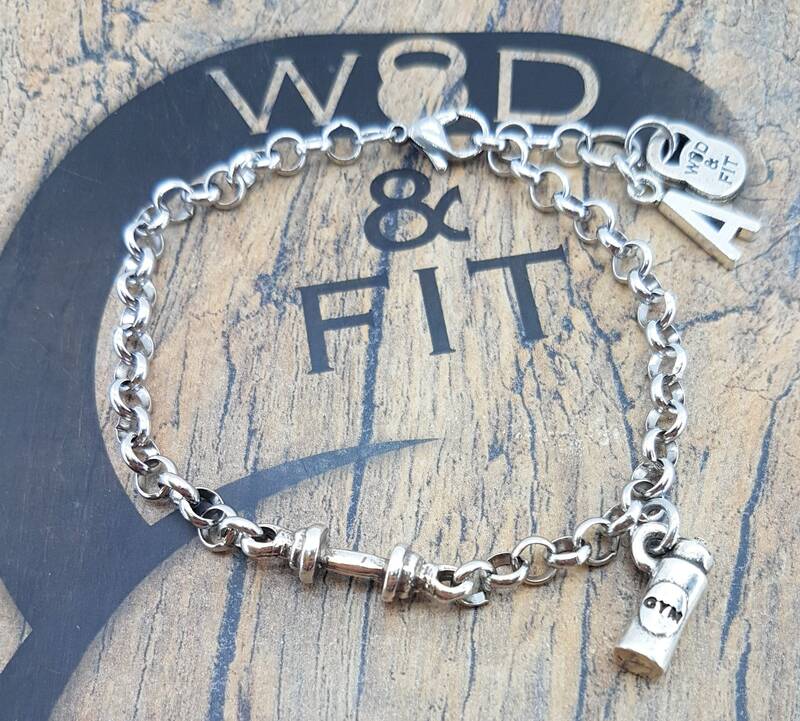 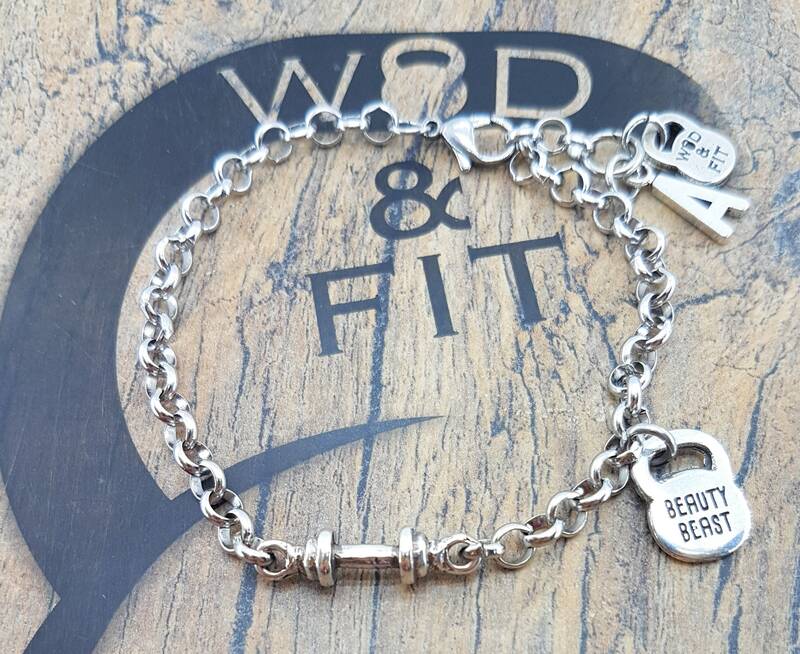 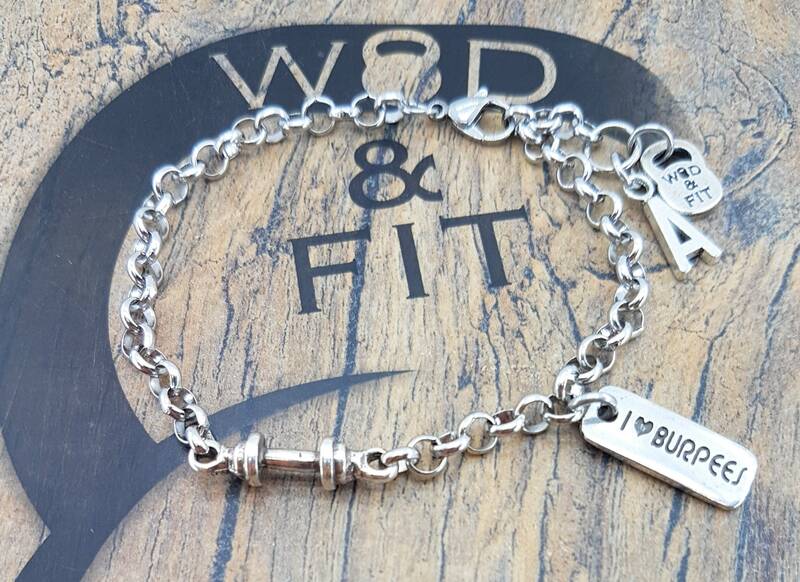 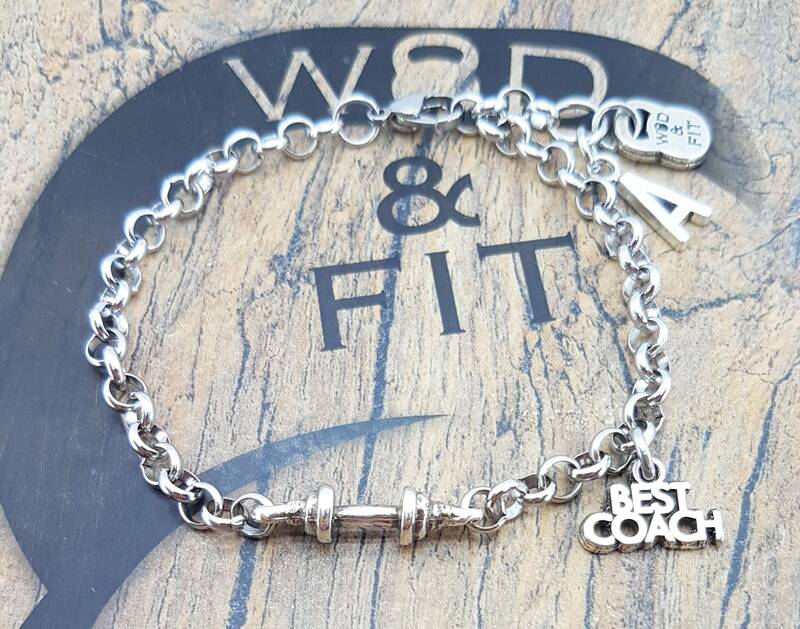 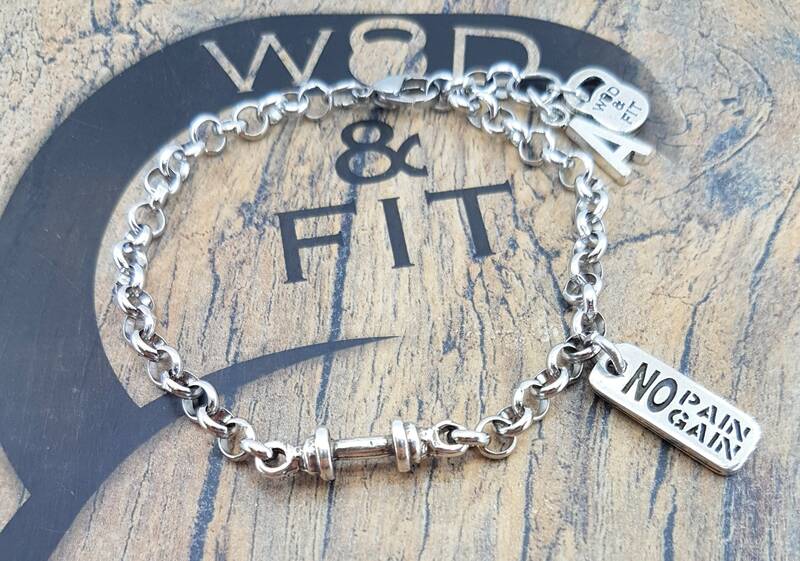 The bracelet Barbell Workout is with the one Barbell metal silver plated, Motivational Word and Initial Letter. 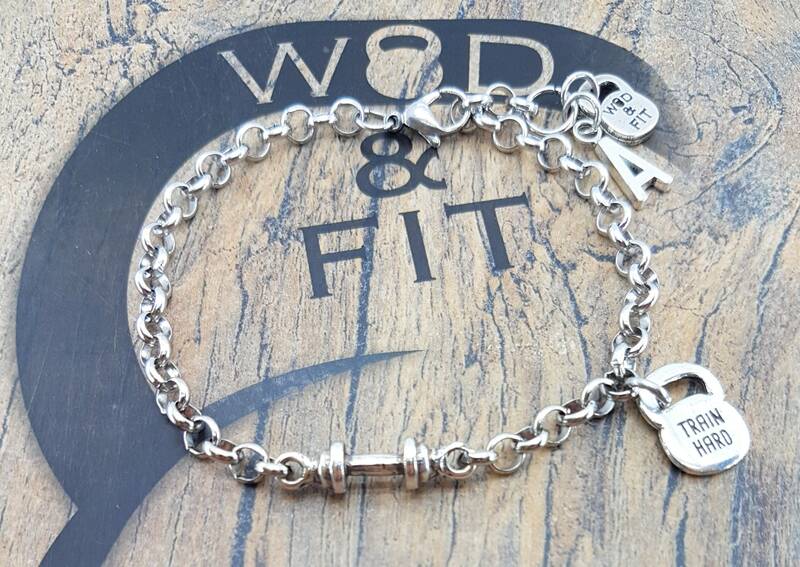 All our items have the original Wod & Fit kettlebell. 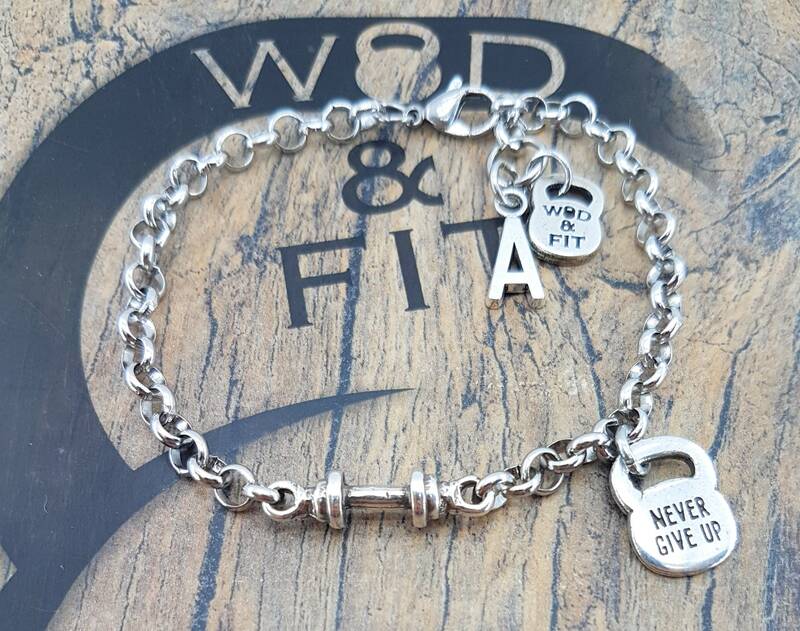 Motivational Word: Your favorite Motivational Word or Weight. 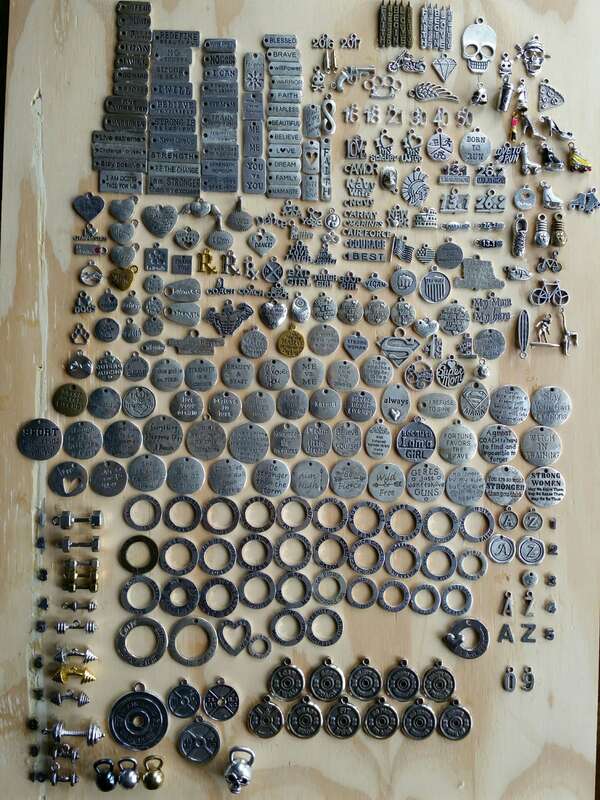 The shipment is carried out by certified mail with number to monitor which we will send to the buyer.